Home>AUV >Welcome to SPARUSII AUV! SPARUS II AUV was born in CIRS lab last October. The vehicle is the 7th member of ViCOROB underwater vehicles fleet. SPARUS II AUV is an autonomous underwater vehicle with a torpedo shape and is an evolution of the prototype SPARUS AUV, which was developed on 2010. As new features, it has a large payload area in its font and has more technological elements which have been developed in the lab, for instance, its thrusters or the vision systems. 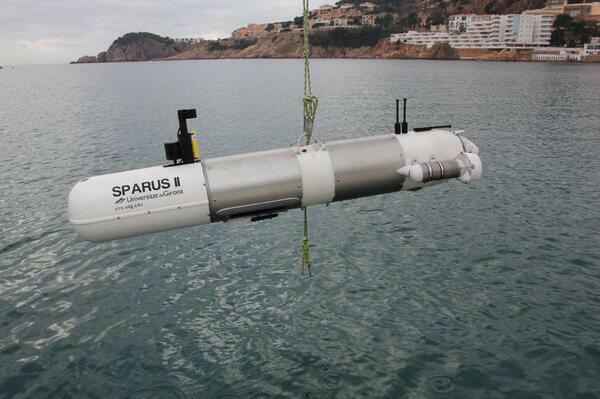 You can get to know better SPARUS II AUV on twitter and youtube.